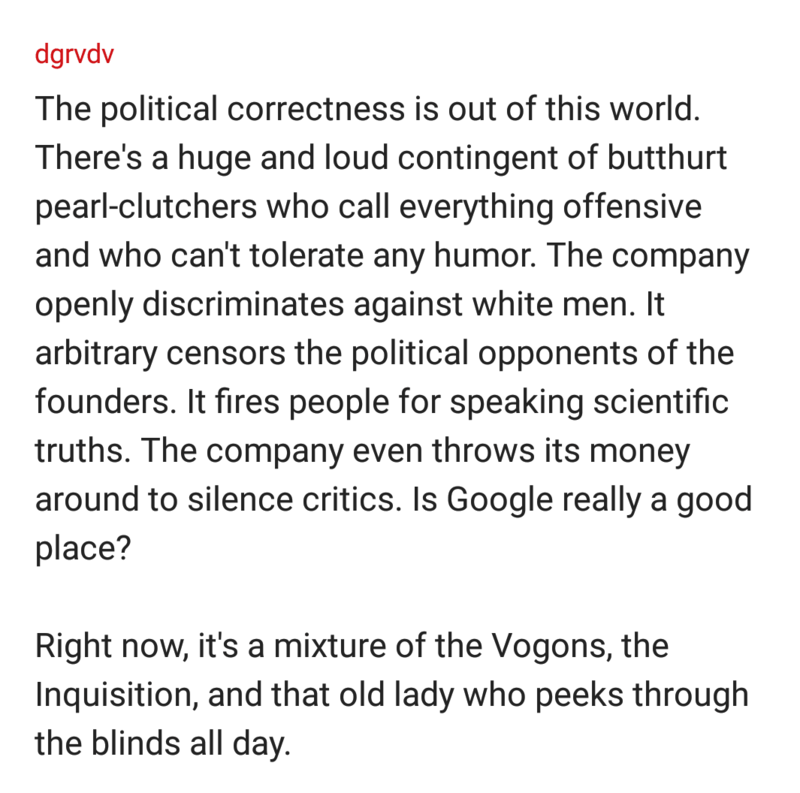 Google “throwing money around to silence its critics” is an allegation the company has faced before, from left-wingers and mainstream journalists as well as right-wingers. 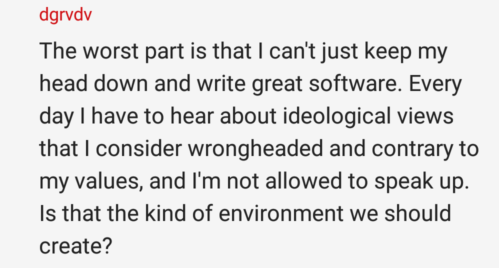 It was the employee’s comments about political correctness, however, that caused ire from his colleagues, one of whom suggested he simply leave the company. 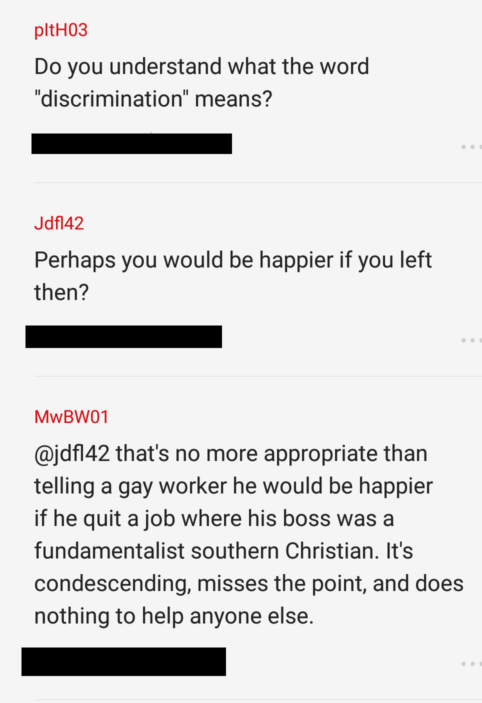 One colleague intervened, saying the comment was “no more appropriate” than telling a gay worker he would be happier if he quit his job. 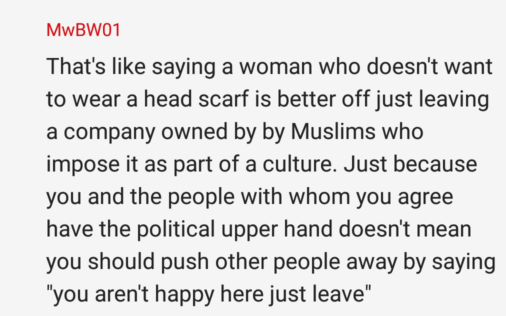 Another poster interjected, comparing the statement to telling a woman forced to wear a headscarf at work to just shut up and accept it. 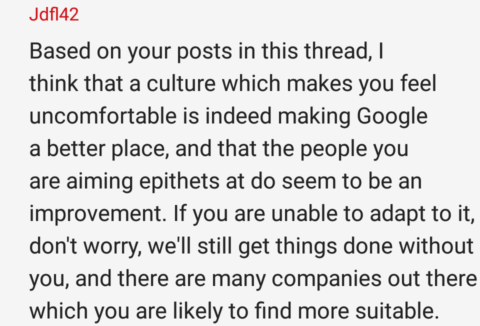 The original poster then returned to the thread, stating that he couldn’t even “keep his head down and work” at the company. 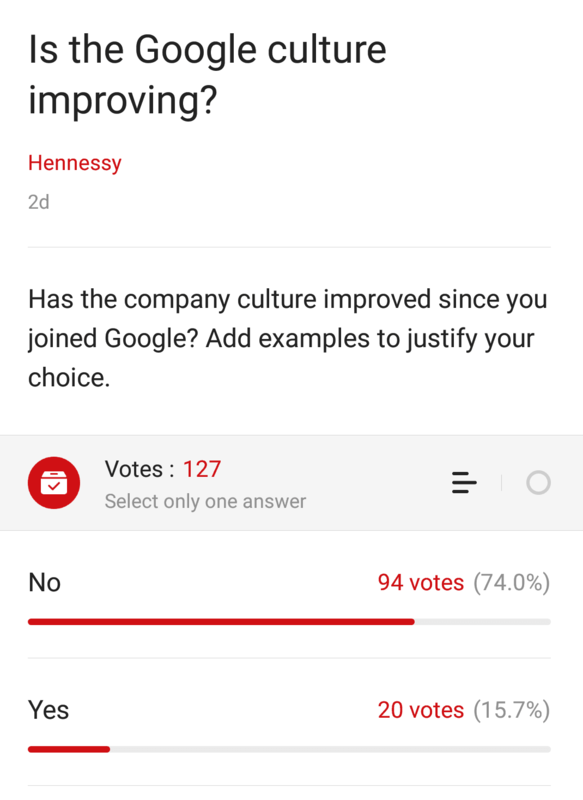 Another employee entered the conversation to reject the call for viewpoint diversity, telling his fellow Googler that he thought the company would be better off without him. 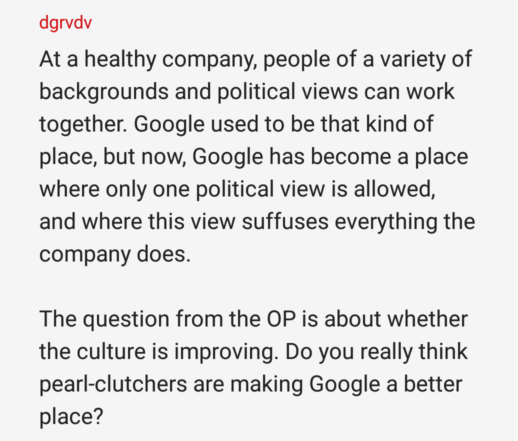 “A culture which makes you feel uncomfortable is indeed making Google a better place,” stated the employee. 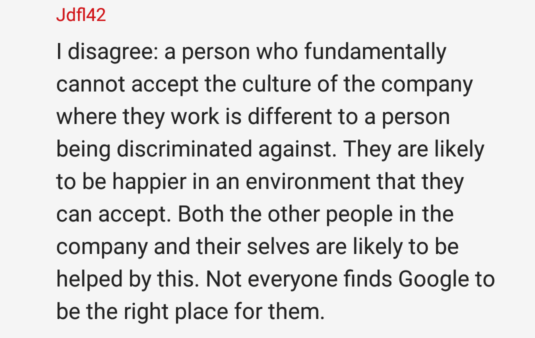 The attitude appears to reflect that of other Google employees, including managers, who openly called for supporters of James Damore to be fired and blacklisted in the wake of the viewpoint diversity controversy. 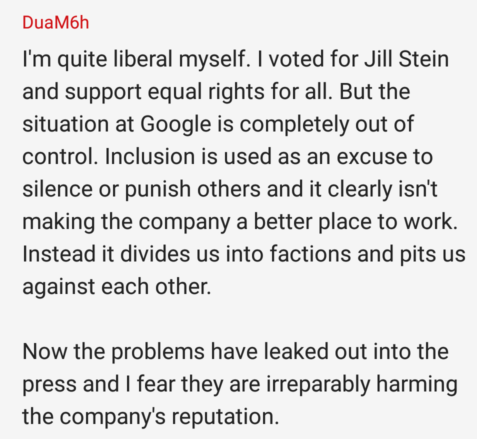 Later in the thread, a Jill Stein voter admitted that conservatives who complained about political discrimination at Google had a point. “The situation at Google is completely out of control,” says the employee.